Anoreta Golf Course was founded on the 30th of June of 1990 when the first 9 holes of Anoreta were opened. Designed by José María Cañizares, winner of two World Cups and five European Tour tournaments. 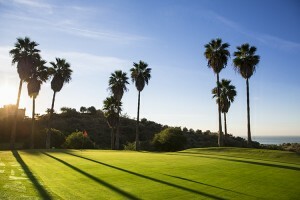 It was the first Golf Course constructed in Rincón de la Victoria. The location is privileged, strategically located beside the Mediterranean Sea. The surrounding fields were transformed into fairways, bunkers and lakes. This is how Anoreta Golf made the first 9 holes. One year later the second 9 holes were completed. It is only a few minutes far from the Costa del Sol Airport, The club has now celebrated 25 years. The golf course features a floodlight driving range with 25 bays which allows for late night practice as well as golf lessons which are available from 2 of the on site golf professionals. The clubhouse has a restaurant which offers guests a variety of locally caught Mediterranean cuisine which can be enjoyed on the terrace overlooking some of the golf course. The clubs well stocked pro shop offers the latest clothes and golf equipment from the biggest brands. 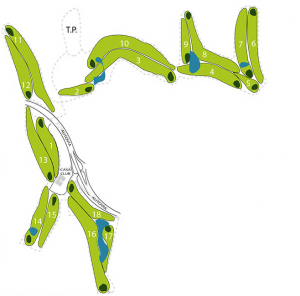 Anoreta golf course is an 18 hole, Par 72 which has been designed for players of all levels. Both beginners and experienced golfers will be challenged to use all clubs of their bag. Surrounded by trees and water, it has a diverse design, with spectacular holes as number 7 with incredible sea views or par 3 number 17 all surrounded by water.